The power source vibration motor of the vibrating screening device can produce a circular, elliptical, linear, and complex motion. Vibratory screening equipment has always used vibration motors as a simple, reliable and effective power. Different combinations of vibration motors on the vibrating body can produce different vibration trajectories, thus effectively completing various. Linear vibration: The vibration trajectory of the vibrating body (vibration box and material) is a straight line on the horizontal and vertical planes, and its vibration form is called linear vibration. 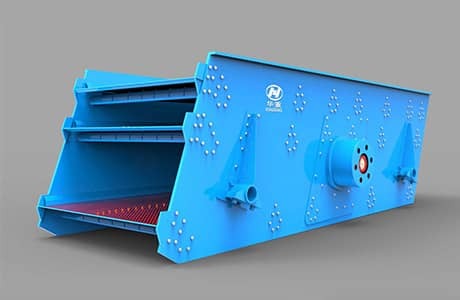 This type of vibrating screen is called a linear vibrating screen or a linear screen. Two vibration motors of the same type are mounted on the vibration machine body, so that the two vibration motor shafts are in parallel positions. When the two vibration motors are turned in opposite directions during operation, the two vibration motors must be synchronized, and the body generates linear vibration. Circular or elliptical vibration: The projection of the vibration trajectory of the vibrating body on a horizontal plane is a straight line, and the projection on the vertical plane is a circle or an ellipse, and its vibration form is called a circular or elliptical vibration. Such vibrating screens are called circular vibrating screens or circular vibrating screens. This type of motion is usually produced by mounting a vibration motor on the body of the vibrating machine. The circular or elliptical vibration occurs on a plane perpendicular to the axis of rotation of the vibration motor, depending on the relative position of the vibration motor and the center of gravity of the machine. The complex vibration: The vibration of the turbulent body is generated by two sets of excitation systems, and the vibration form is called composite vibration. Generally there are two forms of dual frequency composite type and double width composite type. Some special performance vibratory screening equipment uses two different types of vibration motors with different speeds, which are installed in the receiving end and the discharging end of the screening equipment, so that the receiving end exhibits large amplitude and low frequency vibration, and at the same time, the material end exhibits small amplitude and high frequency vibration, and the middle part of the screening device overlaps the two kinds of vibrations, so that the screening device can play a more effective screening effect. 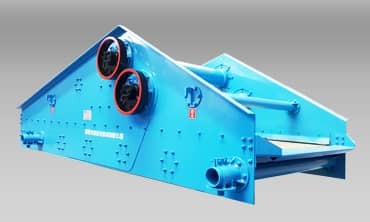 Next Article: What is the Different between Single Cylinder Cone Crusher and Multi-Cylinder Cone Crusher?